You have made the decision to grace your home with a new kitchen – a huge decision; so you want to make sure you get exactly what you want, but what to look for? Where to start? So choosing Kitchensmiths is your first decision made. Long steel bar handles have been in vogue for the past few years, often paired with shaker-style units, but the latest trends are more sleek, more chic, more minimalist, more architectural. Feature walls of floor-to-ceiling units are being seen in the most fashionable of homes, with flush finishes and handle-less units. Doors are released with the gentlest of touches, some of which slide sideways rather than open out, maintaining the illusion of flat-fronted units. Colours, too, have taken a gentle turn, with a return to natural shades and textures. Less intense tones such as charcoal, greys and pastels such as pale blue, pale grey-green and tinted whites are the new alternative to standard white. A new innovation is ceramic-fronted doors, in a choice of greys and rusts. Ceramic gives your kitchen an ultra modern look and reproduces the textures, colours, and patterns which would normally form within clay soil. It has a matt finish and is both durable and non-porous. Kitchensmiths offer a range of bespoke options for unit fronts. Choose your kitchen in bog oak, or book-matched precious veneers; feature an area in real slate; or choose amazingly durable doors in Parapan which is a solid acrylic panel. Split oak, with deep graining and knotty wood, is being used for emphasis to create interesting texture and contrast, with dyes being used to wash the wood along the grain. Book-matching is a method which ensures grain runs across a pair of doors or units, presenting perfect symmetry. Textured wood units are matched with plain colour units in neutral shades of grey or washed pastels for a dramatic contrast. Open plan living is popular, but the kitchen can still feel detached from the living area. With this in mind, our designers are blurring the lines between rooms, streamling designs between cooking zone and living space ensuring the kitchen remains the centre of the home. Matching units used in dining and living spaces link the look giving that contiguous feel. Full-height pocket doors conceal appliances and entertainment centres, turning the kitchen unit into stylish furniture. Kitchensmiths have taken the hard work out of choosing the brand of kitchen for you. 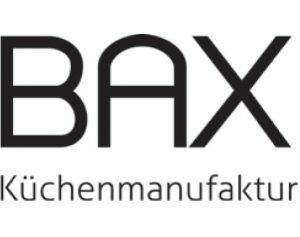 Specially selected brands, chosen for their quality and style include: Rational – a long-established German kitchen supplier with design flair from its Italian parent company Snaidero ; Bax – a small, German kitchen manufacturer offering the utmost bespoke service. They specialise in booked-matched laminates and veneers, bespoke units and their own matching handle-less rail system. Störmer is a good all-rounder when it comes to German quality. They offer both contemporary and traditional at a variety of price points; and offer some niche products such as their integrated ethanol fireplaces – another way to link the kitchen to the living space. Stoneham, our English brand, is more than 150 years old, with a royal warrant and based in Kent. They create a beautiful hand-made look, as well as more contemporary offerings and specialise in traditional woods and painted finishes. Whichever manufacturer you choose, Kitchensmiths’s designers will talk through your likes and dislikes, your dreams and aspirations, your wants and desires and will transform them into your dream kitchen.